Keeper Of The Fortress Black Long-Sleeve T-Shirt - Top Quality 100 Percent Cotton, Original Artwork, Azo-Free Reactive Dyes | BUDK.com - Knives & Swords At The Lowest Prices! A powerful wizard reaches the pinnacle of his quest, only to be met with the flaming jaws of a mighty dragon. To enter this castle’s gates, he must harness the powers of all four elements. 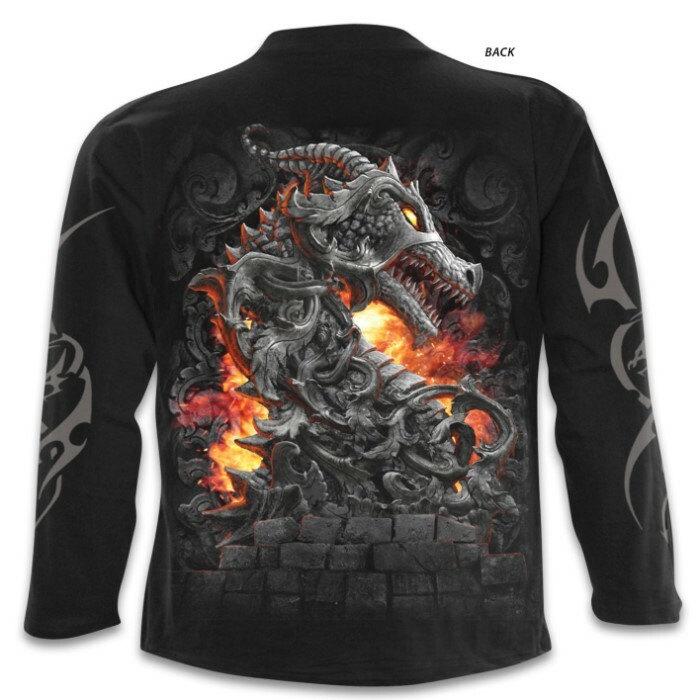 The front and back of this long-sleeve t-shirt features a vivid portrait of a wizard facing down a deadly dragon that is rich with detail. The original artwork is printed on high quality jersey material using skin-friendly, Azo-free reactive dyes. 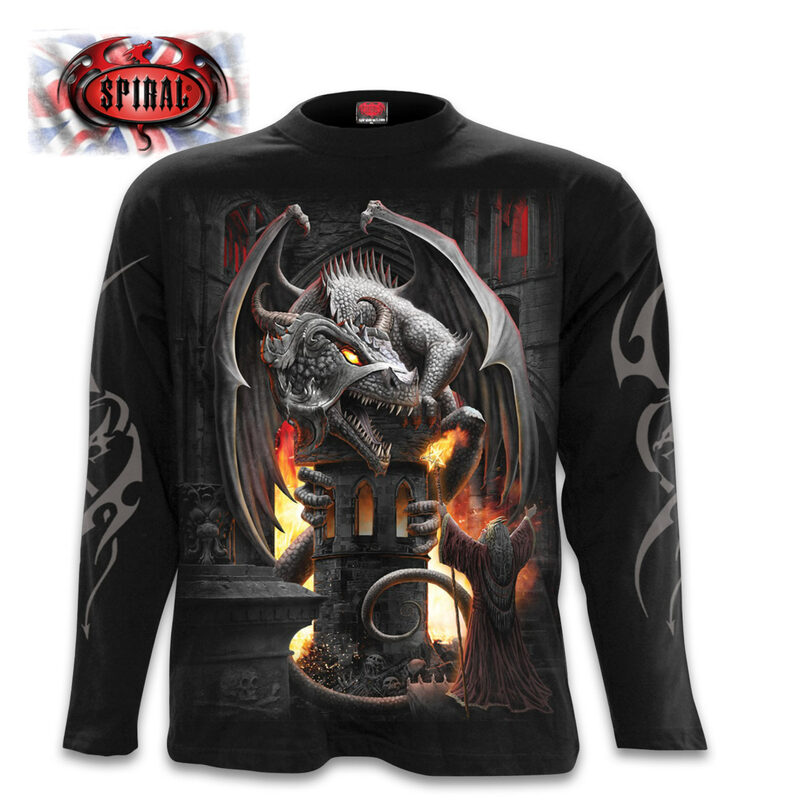 Add this intricately detailed long-sleeve to your closet and you’ll find yourself wearing it all the time!